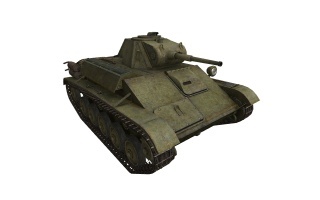 The T-70 is a Soviet tier 3 light tank. The T-70 leads to the T-80. 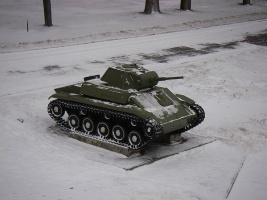 This tank (especially after obtaining the fearsome VT-42) is rather a frontline support tank. With your weak side armour you should keep away from fast tanks, which can (and will) flank you. Remember, with your speed you can flank the enemies position and spread serious damage among them. But be careful about the gun depression! The ones whom had played before with a tank with similar gun depression (like IS) shouldn't find themselves in a hard situation, unlike the one whom hadn't played such tank. Playing aggressively is beneficial in tier III battles and some tier IV battles, when you can somewhat rely on your armour, especially the well-sloped frontal hull. Angling it a bit, not revealing a significant portion of your weak side armour improves the ability to withstand hostile fire. Also, extreme caution should be taken around vehicles equipped with howitzers, as the sides are easily penetrated by HE rounds and even a non-penetrating hit deals dreadful damage. In tier V battles, the horrible gun depression reduces your abilities to hide and engage the enemies, as you cannot play overly aggressively. Thus, choosing your sniping or scouting position carefully is of utmost importance. Finally, though the armour is very good, at least frontally, relying too heavily on it may have dire consequences. In order to utilise the good top gun, staying alive should be the priority, as the high penetration gun may prove to be decisive in later stages of the game. 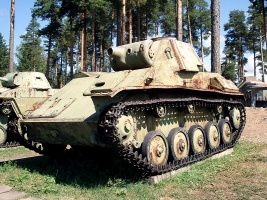 The 37 mm ZiS-19 gun carries over from the T-60. Its improved accuracy allows you to snipe early on. 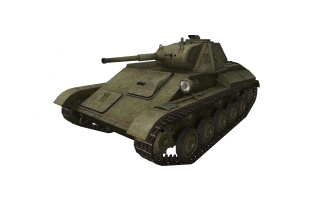 Improve the mobility by researching the T-70 enhanced chassis and the M-80 engine. 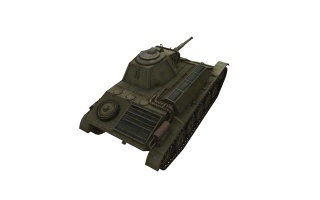 Next, go for the improved T-70M turret to get the 45 mm VT-42 top gun. Last, research the 9RM radio. This long range radio is used on many Russian tanks in the higher tiers. 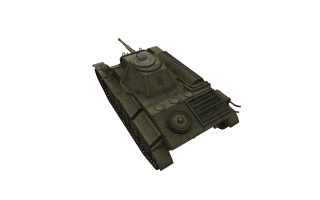 If you played the SU-76 tank destroyer, you will find the engine and radio are already unlocked. The T-46 light tank also unlocks the top gun. 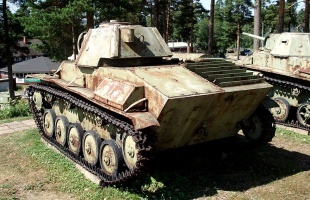 Finally, research the T-80 tank and the SU-76 tank destroyer, if you haven't already. T-70 Light Tank Photos & history. This page was last modified on 8 August 2016, at 13:17.